What’s better than a dashing duke? A dozen of them! Or in this case, a baker’s dozen—thirteen of your favorite historical romance authors have come together to bring you more than a year’s worth of tantalizing, never-before-released novellas. 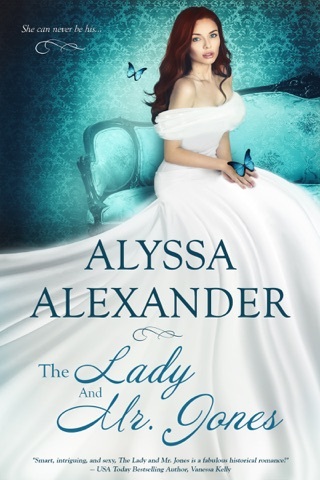 January – Duke in Winter by Alyssa Alexander — When the highwayman demanded that the Duke of Highrow stand and deliver, he didn’t know she would steal his heart. 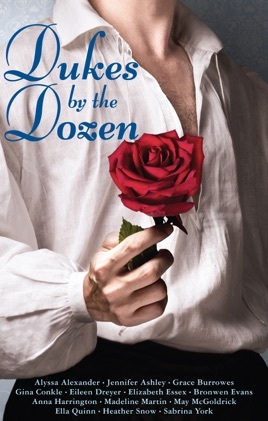 February – The Difference One Duke Makes by Elizabeth Essex — All it takes is one frosty night for two imperfect people, former naval commander Marcus Beecham and ruined Penelope Pease, to meet and make the perfect February Valentine. August – To Tempt A Highland Duke by Bronwen Evans — Widowed Lady Flora Grafton must be dreaming. Dougray Firth, Duke of Monreith, who once pledged her his heart but then allowed her to marry another, has just proposed. Why now, after eight years? When she learns the truth, can she trust Dougray to love her enough this time? September – Duke in Search of a Duchess by Jennifer Ashley — The meticulous Duke of Ashford is dismayed when his children ask Helena Courtland, the gossipy, busybody young widow next door, to find Ash a new wife. But she sweeps into his home and his life, turning Ash’s precisely ordered world into a chaotic whirlwind. October – Dear Duke by Anna Harrington — When the Duke of Monmouth, decides to build a canal, he isn’t prepared for an old mill owner and his daughter to stand in his way. The only person who understands him is the anonymous pen pal to whom he’s been pouring out his heart, a woman not at all who she seems. November – Must Love Duke by Heather Snow — Lady Emmaline Paulson already has the only Duke she wants in her life—an adorable puppy she rescued from the Serpentine with the help of a handsome stranger. 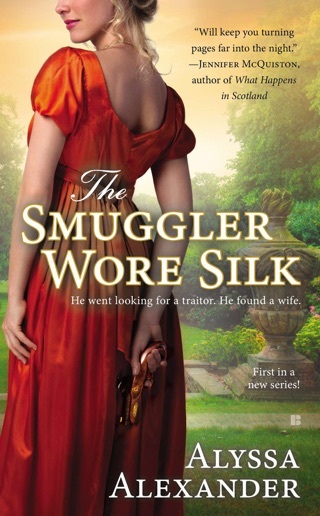 Can Maxwell Granville, heir to a dukedom, convince her there’s room for him, too? December – The Mistletoe Duke by Sabrina York — The Duchess of Devon can't think of a better way to tempt her widowed son into marrying again, than to throw a Christmas Ball. And there simply must be mistletoe everywhere! But it's not until Jonathan meets his mother's humble companion under the mistletoe, that fireworks erupt. January – Dueling with the Duke by Eileen Dreyer — When Adam Marrick, Duke of Rothray, shows up on Georgie Grace’s doorstep, she thinks it is to become acquainted with his cousin James’s widow and daughter. Instead he brings news that will completely upend their lives and put them all in danger. I just read twelve stories involving ladies and some interesting Dukes! The stories were entertaining and had some humor. I throughly enjoyed the book and highly recommend it. Romance and a bit of intrigue is not dead.